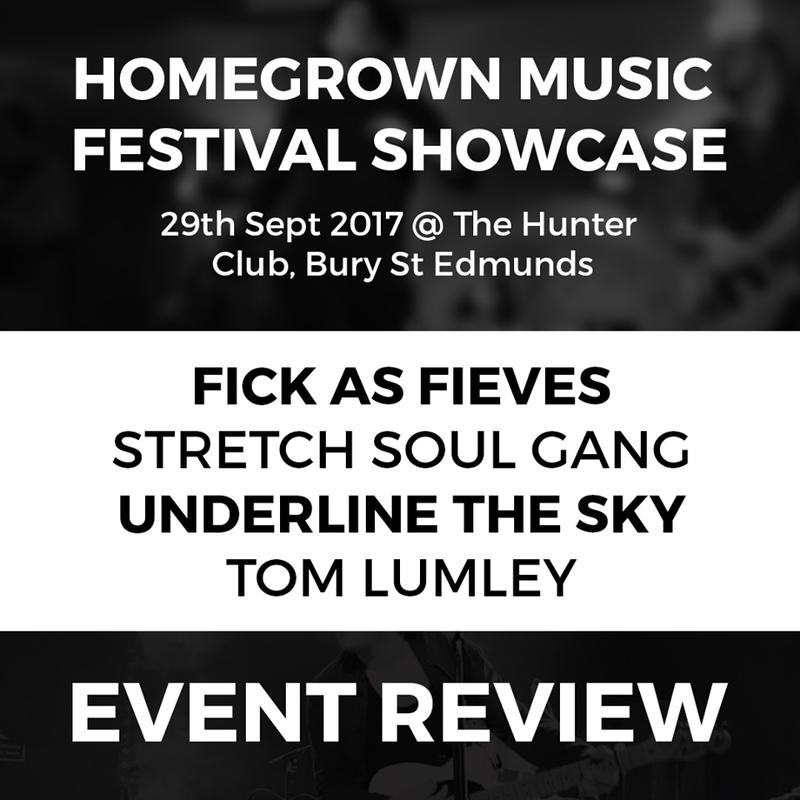 An outstanding night of live music at The Hunter Club proved that East Anglia has some of the most diverse and extraordinary talents in the UK music scene. The night, hosted by Barrow’s Homegrown Festival, kicked off with Cambridgeshire’s own Tom Lumley. The singer, along with his very own backing band, proved to be the perfect warm-up for the night ahead with his mix of indie-pop packed with electric riffs and anthemic lyrics, a real crowd pleaser. It’s no wonder why he has already supported acts like The Hunna in recent months. Having recently released a new single Just Like The Light and with last night (29th September) being the first date of a tour which covers the length of the UK, there’s no reason why Lumley can’t go on to become an even bigger name in not only East Anglia but nationally. This was his first gig in Bury St Edmunds, and hopefully there is more to come. Sudbury’s smooth groving Stretch Soul Gang were the next band to showcase their talents, and they totally did. A packed crowd danced their way through an astonishing set from such a unique group, not many people can say they’ve seen a soul/hip-hop/jazz group. No word of a lie, they are possibly one of the best bands I’ve actually seen live… excellent showmanship, inch-perfect falsettos, soothing basslines, and a great set of songs like the tunes Ain’t Got No Money and Sharks at the Wheel prove that Stretch Soul Gang are one of the most promising acts in the East. They had the audience in the palm of their hand, and there’s no doubt that in the not-so-distant future they’ll be entertaining even bigger crowds, and playing even bigger stages. Last to entertain the packed out venue were Aldeburgh’s Fick As Fieves and they rounded off a superb night of live music with a bang, The trio’s indie rock lifted the room, a very polished performance. The band’s music appears on Spotify’s The Indie List, and it’s no surprise off of the back of this performance with their energetic stage presence, catchy riffs and pounding drums. Having formed only a year ago, it’s fair to say that the trio have come a long way in such a short space of time. The band teased us with new material which sounded just as good as their current work like Label Us and Insomnia. Championed by BBC Introducing Suffolk, they are definitely set for bigger things. An exciting night showcasing some of the best musical talents in East Anglia. A huge shoutout to the people at Homegrown Festival for organising the event, same again next year? Homegrown Festival 2018 tickets are on sale NOW on the link below!